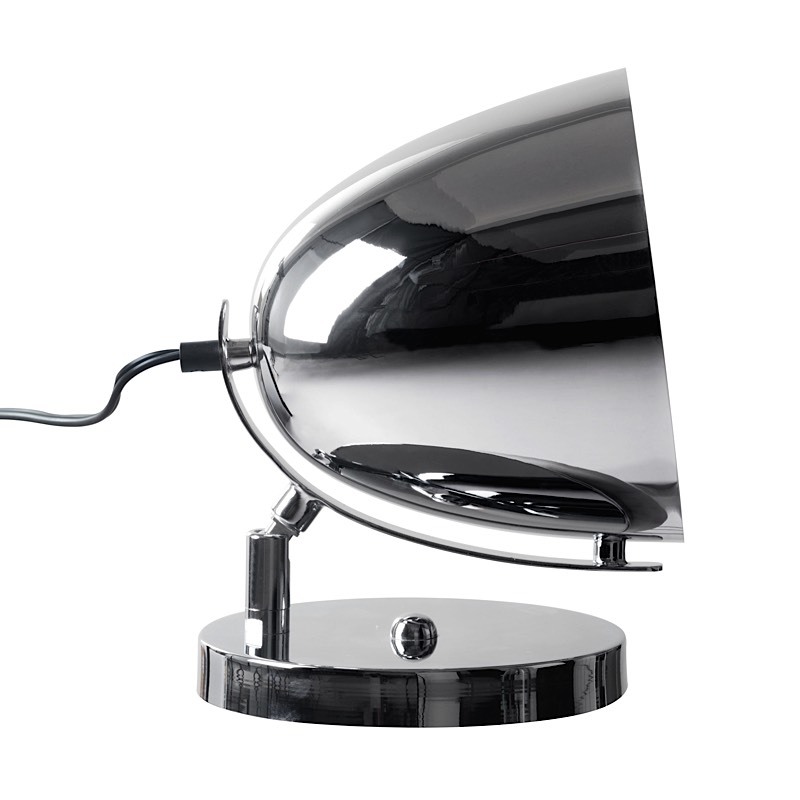 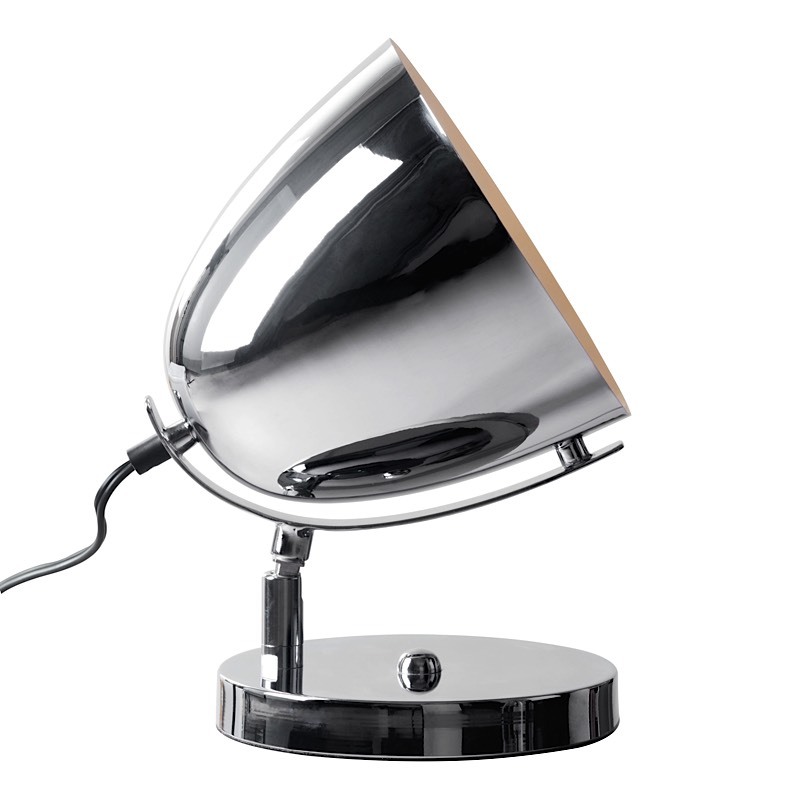 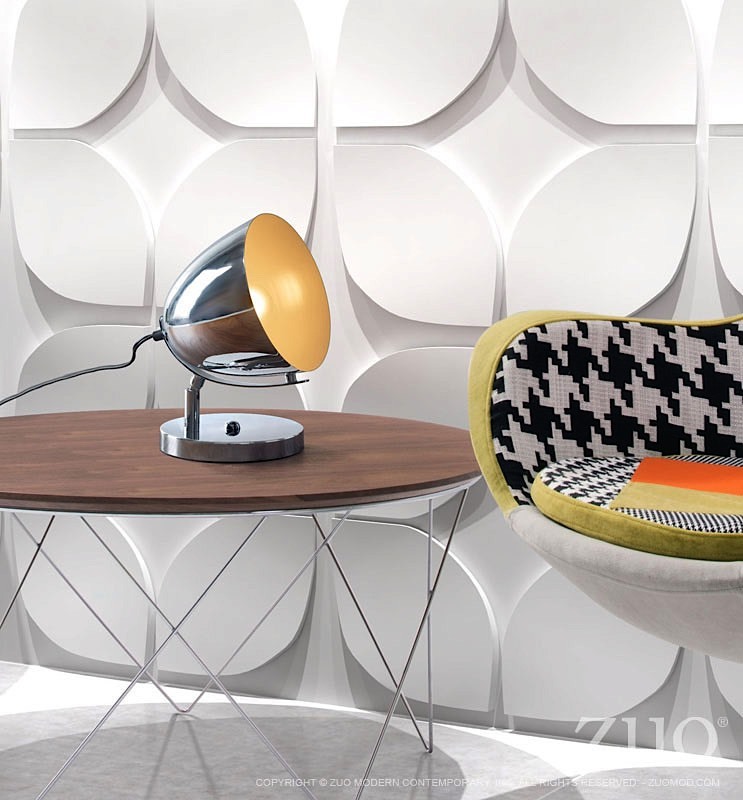 The Jog Table Lamp has a youthful appeal with a chrome shade and a slim, round base. 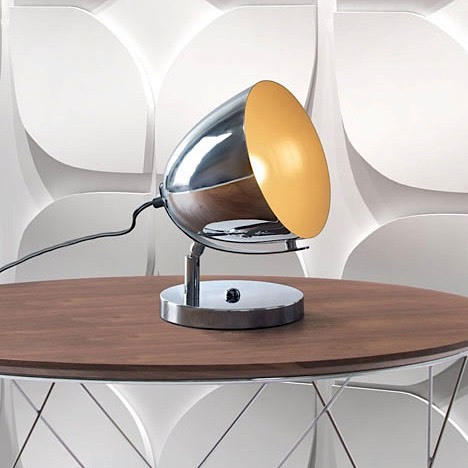 Add as spot light to artwork or as fun addition to any home or office. 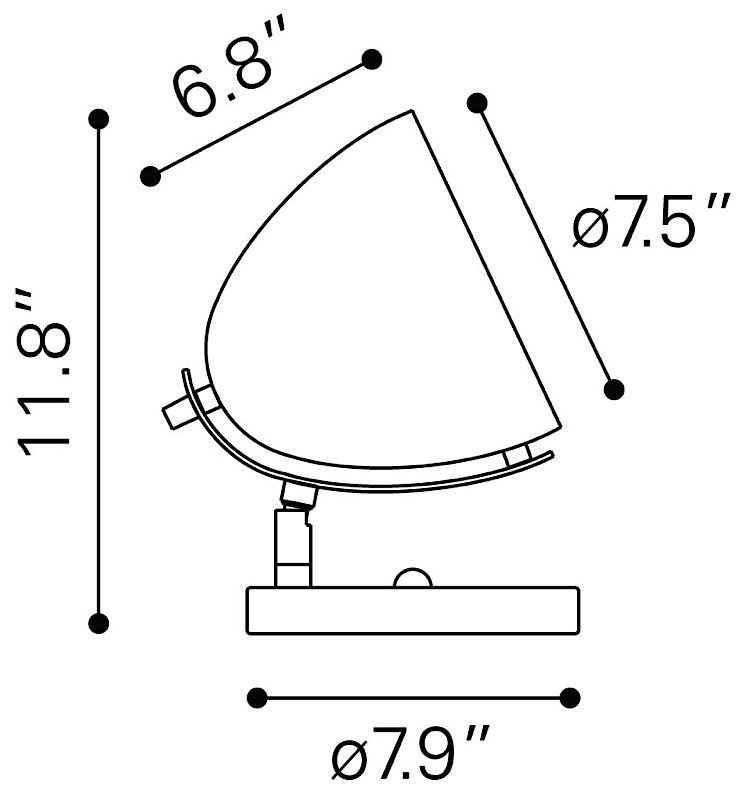 Jog requires one (1) 40 watt max Type A19 bulb with an E26 socket size which is not included with the lamp. 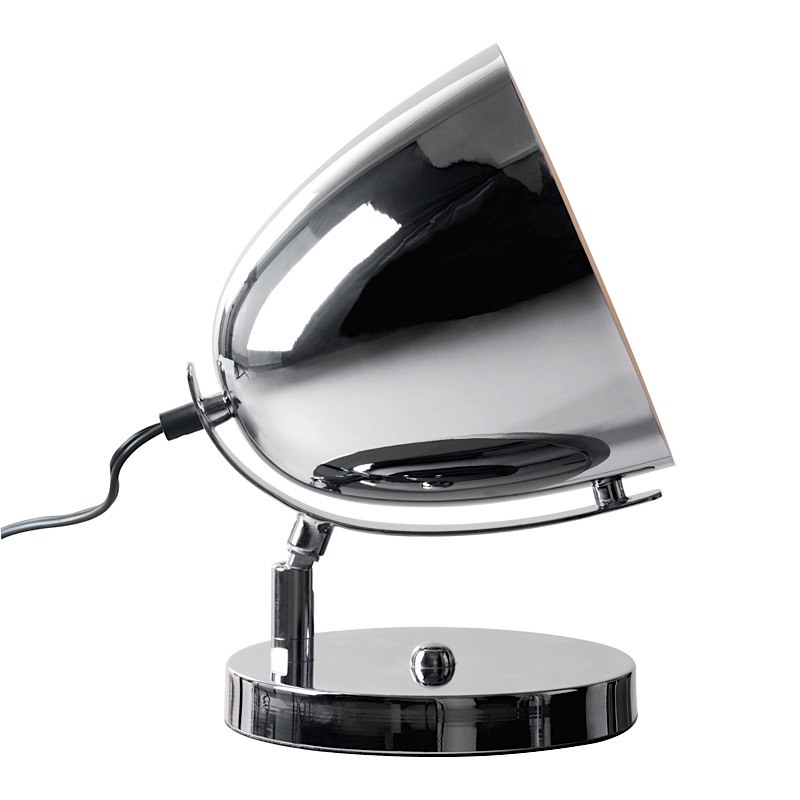 The lamp has a 71 inch cord with an "on-line" switch type.